Community World Service Asia is working with communities in rural Sindh to empower women. With support from UK Aid and Y Care International, we are training women in vocational and literacy skills to improve their opportunities and combat poverty. However, in order for women to be able to fully realize their potential, their rights need to be recognized, supported and upheld in their homes and throughout the wider community. We are working to promote gender equality by highlighting some of the key issues which affect women in this area, including domestic violence and child marriage. Theater is a powerful tool to approach these difficult topics, as it provides entertainment, can reach a large number of people, and can engage an audience in themes which are relevant to them, overcoming limitations such as low levels of literacy. 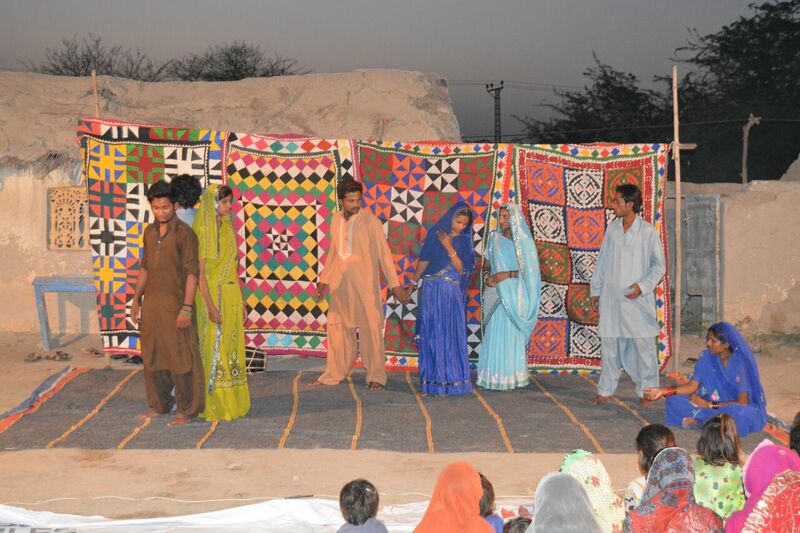 More than 60 community members, social workers, civil society activists and students came to watch a performance which was organized and held by local gender activists who are being trained and supported to raise awareness of gender issues through the project. The play followed the story of a character called Neela, who was married at the age of twelve. Although the legal minimum age for marriage in Pakistan is eighteen for boys and sixteen for girls, poverty and insecurity mean that many girls are married at a young age. Through Neela’s character, the audience saw the impact of a decision made by her father, without the involvement of Neela herself or any other family members. Neela was forced to drop out of school before progressing on to grade six, so that she could go and live with her new husband and his family. In her new home, she experienced domestic abuse, both physically and mentally. 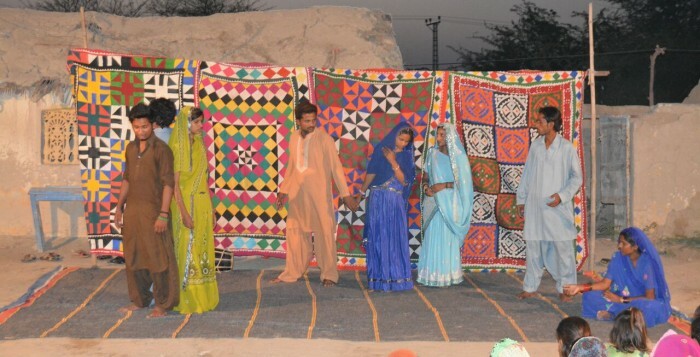 When Neela returned to her parents’ home, the performers stopped the play and invited the audience to decide how to address the situation. This kind of interaction is extremely engaging for the audience and helps them to relate the themes of the performance to their own situations. The audience suggested that Neela should file a case in court under Sindh’s Child Marriage Act. The play was able to share the reality of gender inequality with the audience, and to highlight the violations of rights that are caused by practices such as child marriage. Ms Lachmi, one of the performers, explained the importance of highlighting issues relating to gender justice in the community.